Click here to read the January 2016 Edition of the Positively Newsletter. Love truly is ageless. While this is the last day of Adopt A Senior month, we would say that every day is a great day to bring love and companionship into your life. 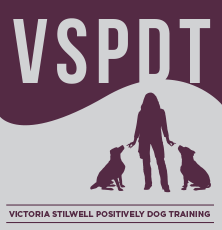 The Victoria Stilwell Academy just celebrated its third birthday, and we couldn't be prouder of the place it has quickly earned as an elite learning institution for aspiring dog trainers. VSA allows me the opportunity to scratch my teaching itch, and I truly love it. Pets, livestock, and wildlife are particularly vulnerable when disaster strikes. Victoria joined host Erika Hill on CNN's HLN this week to discuss the story of the woman who whose dogs are accused of mauling and killing her. Before I started my career as a dog trainer, I studied broadcast journalism in college. I remember one of my professors constantly repeating the phrase "consider the source." That phrase has stuck with me throughout the years, and I've found it to be quite relevant to my work as a trainer. As a behavior specialist, I am always thinking ahead: how does what is happening today influence how the dog may behave in the future? An always-important aspect of dog training is to teach tolerance to frustration and to build impulse control. It’s understandable that people in the dog training world get so agitated when the word “dominance” is mentioned, even when used in the right context. The idea of dominance in dogs has been so misunderstood by some trainers in popular media for so long that it has now become a dirty word, such that even when trainers and behavior experts use the word correctly, they risk a backlash from people that are – let’s face it - exhausted from having to continually reeducate the public about what dominance really is and what it isn’t, particularly when so much damage has been done because of the way the word has been used by some people in the dog training world. I firmly believe that any decent trainer is always learning – we should never feel we know ‘enough’, and I thoroughly enjoy being inspired, educated and challenged by our amazing roster of presenters at this conference year after year. 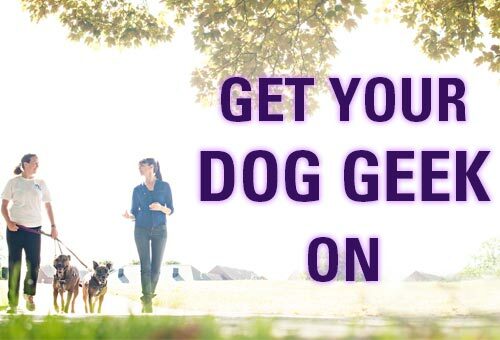 It has developed into one of the most sought-after dog behaviour experiences available in the UK, and I’m incredibly honoured to be able to bring such a diverse, passionate, educated, engaged, and dog-literate group of people together in the name of better understanding our canine companions each June.